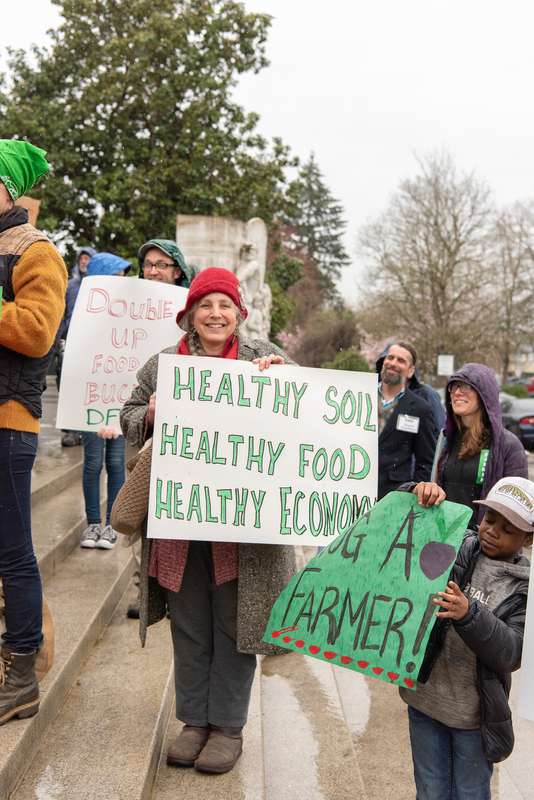 A hearty Thank You to the more than 150 farmers, ranchers, and good food supporters who came to Salem on March 27th to make their voices heard! This kind of citizen engagement is critical if we want more policies that support small and mid-sized family farms and healthy local food systems. If you missed the event, you can check out our latest 'Muckboots in the Capitol' blog post for a recap, more photos, and a legislative update. For Farmers & Ranchers, Every Day is Earth Day! On April 22, 1970, nearly 20 millions Americans took to the streets protesting the harm caused by industrial development. By July of that year, the Environmental Protection Agency was created and soon after, the Clean Air Act, Clean Water Act, the Endangered Species Act and others. Earth Day is now a global event, and at least 1 billion people in 192 countries take part in the largest civic-focused day of action in the world. People plant trees, march, celebrate, clean up their neighborhoods and sign petitions. We have three actions you can take this Earth Day. Add your name to our petition to show our decision makers we want a Clean Energy Jobs Bill (HB 2020) that supports family farms in Oregon. FoFF is a member of Earth Day Oregon. You can find businesses to patronize who are making special Earth Day contributions. If you want to get outside for a hands-on activity, go here for a list of actions throughout the state. Click here to take action on HB 2020 in support of family farms! "I have been very grateful for all the hard work FoFF is constantly doing to help keep our food system safe, and connecting the farming community. I like that they bring farmers together to help each other learn... and I appreciate the time they spend lobbying for small family farms, giving us a voice. For all these reasons and many more, I am happy to donate to Friends of Family Farmers." Read more about Gratefull Gardens and our other business supporters here. Do you have land available for farming? 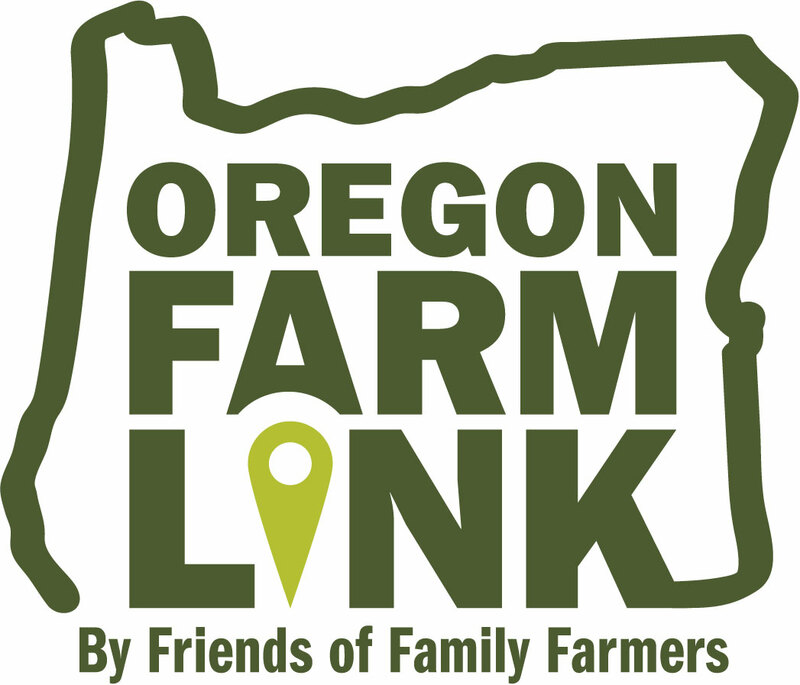 Have you considered posting your land on Oregon Farm Link? Access to land is a top issue facing the next generation of farmers. When you make land available you help secure a future for agriculture in Oregon. Oregon Farm Link connects you to beginning farmers looking to get their start or expand their businesses. Properties as small as an acre can really make a difference to someone. Land can be for lease, sale, partnership, work trade, etc. Your personal information is kept confidential and you can choose candidates to follow up with based on a shared vision. Questions about Oregon Farm Link? Email us! The voice for Oregon family farmers who responsibly steward their land and feed our communities.